Our drive through the tree lined residential streets of Swarthmore ended as we pulled into the arboretum that is Swarthmore College. Located 20 minutes from the airport and just 11 miles outside of Philadelphia (25-minute train ride), the College offers its 1,600 undergraduates more than 40 majors from which to choose, and more than 600 courses each year. Students can also take courses through the Tri-College Consortium with nearby Haverford and Bryn Mawr Colleges, as well as at the University of Pennsylvania through cross-registration. Students may also attend lectures and social events at these nearby schools. 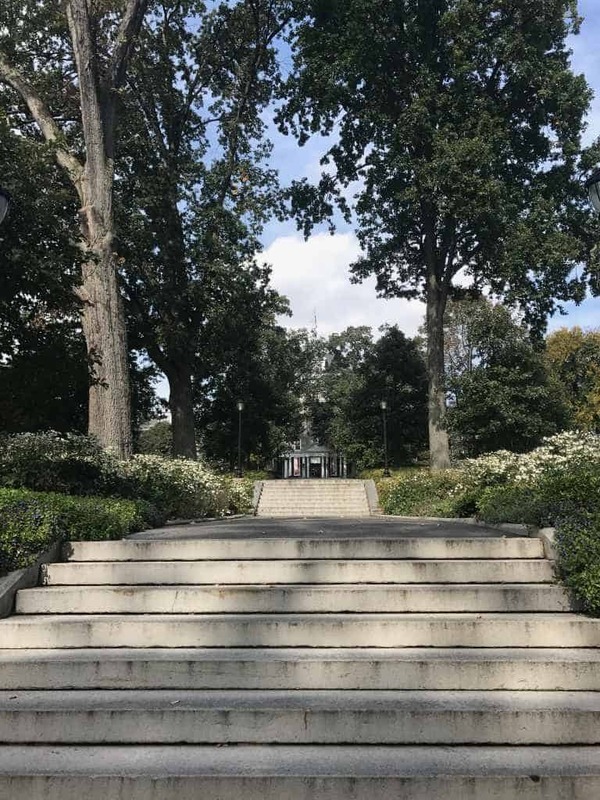 Swarthmore freshmen are encouraged to explore majors rather than “just falling into what you’re good at,” students say. To support this philosophy and enable students to transition to their new college life, first semester is pass/fail with no recorded GPA. Nathan, a senior Peace and Conflict Studies major, reinforced that students are encouraged to explore the breadth of academic options here. Students apply to their major at the end of their sophomore year. GPA and class rank are never part of the discourse among students. It’s more about what motivates you to learn. They really want students to take courses they are curious about, go outside their comfort zone and take risks. I took 8 different courses out of 8 different departments my freshman year. Out of that, I found my major. 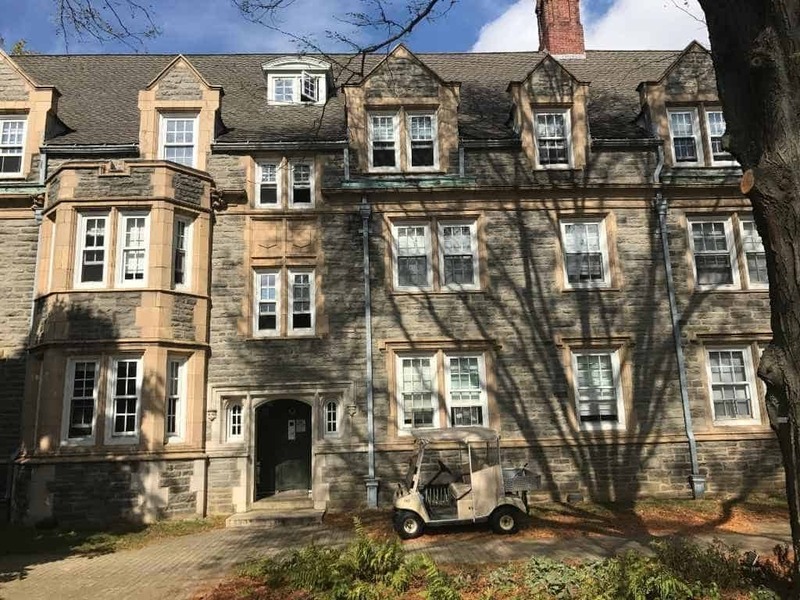 There is no special honors dorm at Swarthmore College, and you don’t have to be in an honors program to take honors classes. Here, the distinction is about how you want to learn; honors are for depth, courses are for breadth. Honors courses, many limited to 12 students, have guest lecturers from all over the world. Content is very much driven by student interest. And the professors “spend as much time on your work as you do” according to Nathan, who expressed awe at receiving two pages of notes on a submitted paper. The pass/fail option continues throughout a student’s time at Swarthmore, further encouraging exploration, collaboration, and academic curiosity. In fact, a student can declare a course pass/fail as late as after receiving the mid-term grade. Students emphasized the non-competitive environment at Swarthmore. Peer support is extensive with seniors helping freshman, math whizzes tutoring their peers, and writing seminars to help students with everything from essay structure to how to write a lab report. You’re not inhibited from doing what you want here. Endowments, grants and various research funding across all divisions support external work experiences as well as opportunities for students to work in-depth with professors starting in their freshman year. In addition to support with resume prep, mock interviews and a career closet, the Career Center facilitates national and international “externships” for students. Students are set up with home stays in the externship city and spend one week shadowing a Swarthmore alumnus in his/her professional role. Offered as early as freshman year, these externships often turn into internships. 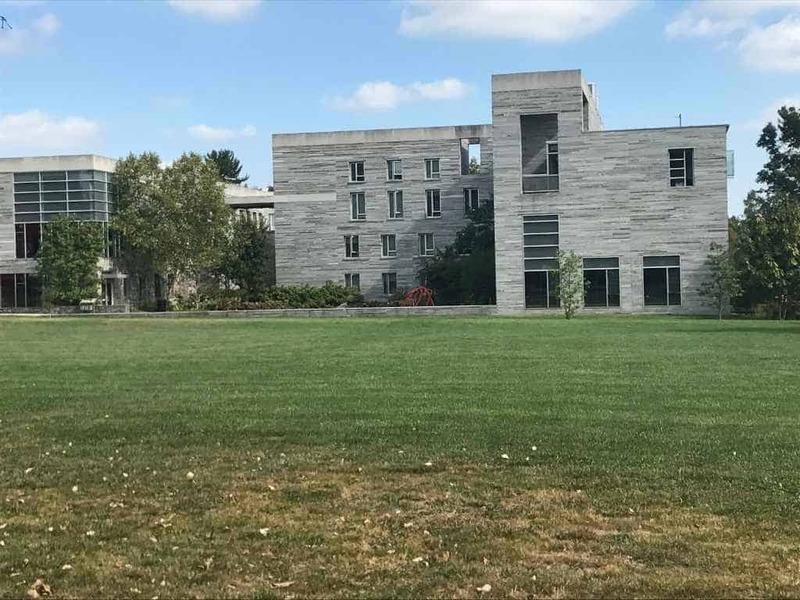 Older fieldstone structures and sleeker new concrete buildings stand side by side on this tree-filled campus. The new Science Center is both eco-friendly and student-learning friendly with floor to ceiling white boards inside all science floor rooms and exterior walls that serve as black boards facilitating outdoor class time. An artist’s rendering of the planned Biology Engineering Psychology (BEP) building stands proudly on display in the Parish Hall Admissions assembly room. Under construction with an anticipated 2020 completion date, BEP will reinforce the interdisciplinary relationships fostered at Swarthmore College. Students are directly involved in the College’s decision-making process – they were part of the search for a new President as well as the design of the new Science Center. Swarthmore is one of few liberal arts colleges to have an engineering department; however, just as you don’t apply to any other major at Swarthmore, you don’t apply to engineering, and no surprise, you don’t learn just one type of engineering—you learn all fields and graduate with a general engineering degree. About 50% of Swarthmore’s engineers double major. Swarthmore traditions abound! At the annual regatta, teams race their hand-made boats with trophies for first to finish, last to finish, and best costume. Ninja grams draw everyone’s attention in February, especially when professors engage in the fun, fighting off ninjas with foam noodles in order to continue teaching. On campus housing is guaranteed for all 4 yrs and 60% of students live four years on campus. Dorms are a mix of freshmen through seniors, making it easy to get to know your fellow Swatties. The RA is there to “keep students safe, not to catch you doing something wrong.” Every hall also has a Student Academic Mentor (SAM), a Diversity Peer Advisor, and a Green advisor keeping an eye out for sustainable-friendly behavior. Fun at Swarthmore ranges from fraternity parties and sporting events to hiking to game nights and pterodactyl fright nights. There’s something for everyone with over 100 clubs. About a quarter of students take part in 22 different Division III sports; others have great fun with the music ensemble open to anyone, not just music majors. For those who want Greek life, there are 2 fraternities and one sorority. Houses are more social gathering spots than living spaces. No one group dominates social life on campus. My closest friends aren’t involved in clubs I’m involved in. At need-blind Swarthmore, every application and every part of the application are thoughtfully reviewed. 100% of need-based financial aid is provided without loans, with scholarships, grants and work-study. The incoming class test scores ranged 690-760 (SAT) and 31-34 (ACT). Swarthmore super scores! And subject tests are not required. Students certain they want to attend Swarthmore should apply ED I or ED II. Though still quite competitive, there is a higher acceptance rate for ED. Our tour ended at the Scott Outdoor Amphitheater backing up to Krum Woods and the Krum Creek. In this tranquil setting, a candle lighting ceremony welcomes newly arrived freshmen reflecting on what’s to come. Four years later chairs are filled with proud friends and family as they witness graduation. I’m challenged in a place where I love learning. The campus is a beautiful arboretum near a big city. Professors care and really know you as a whole person. They ask about your softball game or your studies in other classes. They are encouraging and want you to succeed. You get to continue to do what you love doing, while spreading your wings and discovering new things to love. 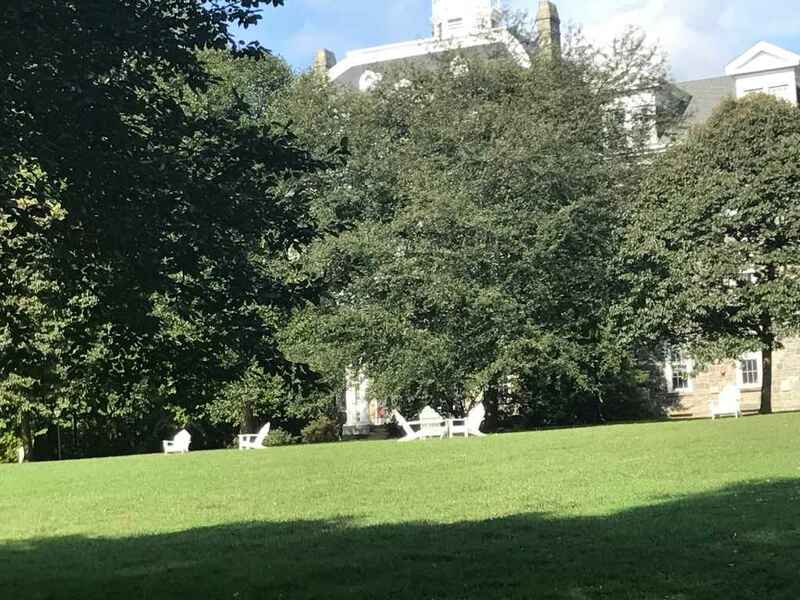 Fay visited Swarthmore College in the fall of 2017. You can scroll through her photos below.